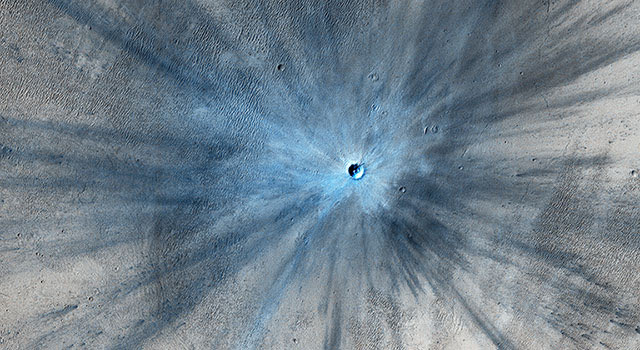 A dramatic, fresh impact crater dominates this false-color image taken by the High Resolution Imaging Science Experiment (HiRISE) camera on NASA’s Mars Reconnaissance Orbiter on Nov. 19, 2013. NASA-JPL: Space rocks hitting Mars excavate fresh craters at a pace of more than 200 per year, but few new Mars scars pack as much visual punch as one seen in a NASA image released February 5, 2014. The Mars Reconnaissance Orbiter Project is managed by NASA’s Jet Propulsion Laboratory, Pasadena, Calif., for NASA’s Science Mission Directorate, Washington. JPL is a division of the California Institute of Technology in Pasadena. HiRISE is operated by the University of Arizona, Tucson. The instrument was built by Ball Aerospace & Technologies Corp., Boulder, Colo. Malin Space Science Systems, San Diego, built and operates the Context Camera. 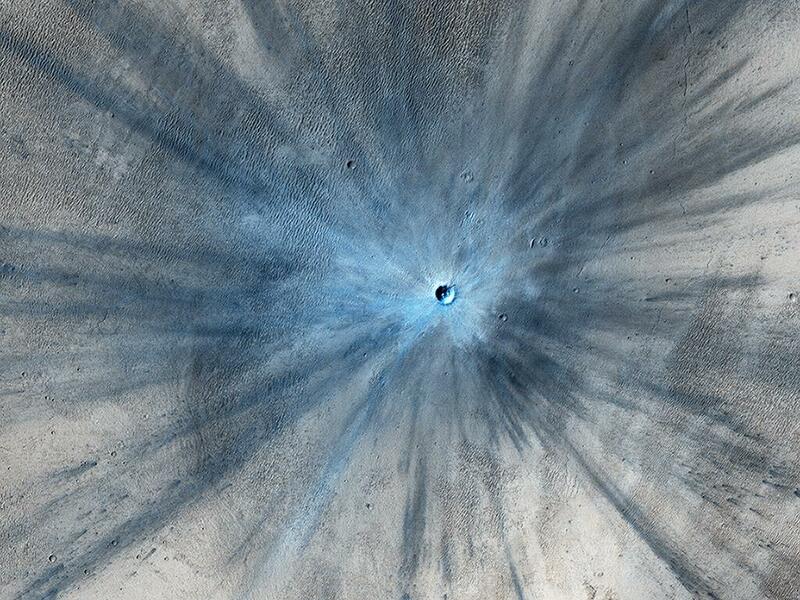 This entry was posted in Uncategorized and tagged asteroid, astrophoto, crater, HiRISE, JPL, Mars, NASA, space. Bookmark the permalink.